Tea Tourism is a relatively new concept in the world and Sikkim can be a new entrant to the field. Tea centered tourism has already become popular in South India and Bengal Dooars. Adjacent Darjeeling also started making organized efforts to promote Tea Tourism centering some of the selected heritage gardens like “Makai Bari” and “Margate’s Hope”. Up on the hills with cool breeze and misty weather, Tea Gardens form a wonderland where tea grows in the finest form like nowhere else in the world. The Heritage Tea Estate at Temi definitely adds to this existing list of gardens as an attraction. Temi in South Sikkim, a quintessential hamlet in high mountains is a familiar destination in the tourist circuit – a must in the bucket list of places to visit. The tea garden of Temi is laid over an idyllic sloping green up in the mountains at an average height of 1200 to 1800 meters. The road to Namchi meanders through the sprawling tea bushes and cherry trees, looking over a flowing Teesta river deep below in the gorge. In seasons, the greens are dotted with Pluckers in their colourful costumes bent over the tea bushes – making the passage thriving with sparkling goings-on. What does tourism mean to you? To many, the word conjures images of idyllic beaches, mesmeric garlands of mountain ranges, fascinating historical excursions, or even a long overdue opportunity for retail therapy. But what does tourism mean to the communities being visited? Are we aware of the effects it has on them? For the past couple of years Ms Mrinalini Shrivastava has been developing a workable and effective process for implementing a tourism policy for Temi and its attractions around. The biggest issues that could delay, or even scuttle, such a project are: commitment, short-termism, and the commoditisation of the tourism experience. Tourism has developed greatly over the past few centuries. It is no longer an activity reserved to the elite. In 2017, traveller totals reached 1,586 million globally, a rise of 52 million from the previous year. Of those, more than half (53%) travelled for leisure purposes. This comes despite the threats of terrorism, natural cataclysms, and economic recession. 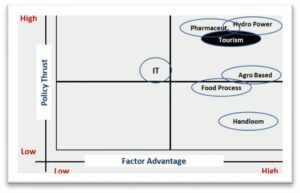 As of date tourism success is pegged against absolute numbers, a kind of short-term analysis that has many shortcomings. Principal stakeholders––politicians and business people––need practically instant, tangible returns on investment, a modus operandi that is simply unsustainable. The ‘carrot’ many businesspersons and politicians dangle in front of the communities––the employment opportunities––is not quite as fresh and enticing as it once was given that many of the jobs in hospitality and tourism are being taken up by so called outsiders. Collaboration between stakeholders is key to answer this question. And this cannot be a reactive strategy, a result of market forces or legal requirements. It has to be a move that is understood to be the way Temi avoids that commoditisation and development which reduces the very character and uniqueness which attracted the tourist at the outset. In Sikkim, tourism is considered as a natural industry that enjoys policy thrusts and factor advantages. The attached thrust matrix clearly establishes the rationale behind the current initiative of sustainable development through area tourism development in Temi and Tarku. The local Organic Tea Garden is ideally suited to place a central role to create the investment environment by attracting visitors in adequate numbers to the area. In the last decade, tourism sector in Sikkim has seen a growth rate of 12 % and its contribution to the state’s GDP is estimated to be around 8 % (Source HDR, 2014) The Gross State Domestic Product of Tourism Sector in 201314 has been valued at Rs 55,914 crores with an annual growth rate of 16.34% over the previous year. 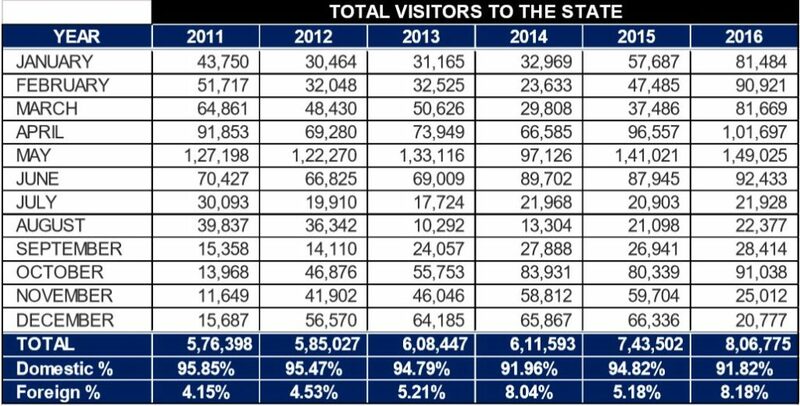 The following table presents the visitor statics during the period 2011 to 2016. 77% of visitors prefer to stay as compared to 23% of same day visitors – though in case of Temi – Tarku, the visitors are mostly same day tourists who prefer to stay either in Rabang La or Gangtok. USA, UK, Spain, and Canada are top markets while South Africa and Netherlands are the low contributors of foreign tourists. Nepal also contributes approximately 7% in this category. o It is a popular family destination, where female visitors outnumber males in both domestic as well as foreign visitor categories. Sikkim is preferred by visitors of the age groups 25 – 34 and 35 to 44 [70% of total] from domestic segment and by 25 to 34 age group [69% of total] in the foreign visitor segment. 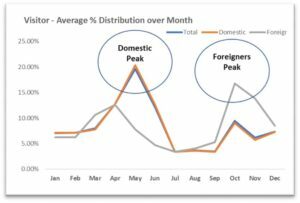 Foreign segment does not have any annual seasonality factor as most of the visitors use a 6monthly window each year without any specifically identifiable Highs or lows. These trends are important to note as they have direct bearing on any capacity planning. Further, fragile, and sensitive ecology of Sikkim, specifically the rich flora and fauna of South Sikkim, makes it imperative that limits are to be imposed externally to create any capacity and controlling the visitor flow in the future. The state is already having a visitor flow that is close to 100% of its population base. Natural resources – Sikkim is naturally endowed with rich flora and fauna. Its climate and topographical conditions support industries such as agriculture, horticulture, food processing, tourism and nontimber forest produce. Facilitating infrastructure – Sikkim is well connected by state and national roads. Telecommunication connectivity compares with the national standards. Air connectivity is also being developed in the state that is expected to start operations in the near future. Rich Labour Pool – Sikkim has a high literacy rate; with the establishment of Sikkim Manipal University and the Sikkim University, the quality and quantity of employable graduates has improved in the state. Stable political environment – The state has a stable political set up committed towards creating a progressive business environment. Accommodation be made for 200 bed-nights in the region providing for 10% of the total visitor nights [i.e. based on an average 300-day operation pa – a capacity be created for 60,000 bednights]. Food & Beverages capacity should be around 78,000 covers p.a. assuming an additional 28% of visitors will be same day tourists. This means, an approximately 18,000 cover space to be created only for Cafes and Restaurants. The capacity proposed needs to be created over a time span of 12 to 18 months, so that the region gets ready to meet the requirements of the expected visitor’s inflow and associated facilities & services supports. The solution here is to build strong synergies based on trust and honesty between all stakeholders, and to maximise those skills which each group or organisation can provide the project or initiative with. The research project to develop community-based tours, which is being spearheaded by Mrinalini Shrivastava & The Temi Tourism Committee will provide the basis for developing a strategy or policy document on the Introduction of Community-Based Tourism for the Temi and may even serve as a template for other destinations. Mrinalini is striving to develop the project in five stages. We started with the development of itineraries and maps together with local councils, local businesses, and the local community. These itineraries list those places of interest in any locality (town or village) that have socio-cultural value as well as a living history. These itineraries serve as a guide for visitors who would like to learn more about the locality, but are also a vehicle through which the local community can develop a sense of awareness and belonging, a vital element in the creation of a sustainable and authentic visitor experience. She has an infectious smile when she proclaims the same with elan laced with conviction. The next stage involves the development of community-based tours, activities where the visitor has the opportunity to meet the locals rather than simply looking at the places they inhabit. This whole process will mirror the development of the itineraries and maps, turning it into a collaborative effort that meets the needs of all involved. At the next stage, the community-based tour will undergo a marketing process that is unique. Rather than looking at promoting this tour for groups, it should offer an opportunity for one-to-one personalised hospitality and service. Besides an online presence, there also needs to be hospitality meetings with potential visitors who prefer this more individual experience. The final stage consists of a continuous study to monitor the progress of the community-based tour and itineraries. The monitoring should be used to tweak and perfect the original project. This shift is a challenge. Financial means are another hurdle as are the differing aims of organisations. However, consistent and continuous commitment by all the key stakeholders through dialogue, trust, and synergy combined with rigorous planning and implementation of a long-term plan that satisfies the needs of all involved is the only way towards an integrated, holistic, and inclusive tourism strategy. It needs to be sustainable and responsible to offer the quality destination the Maltese Islands deserve. In addition to above, keeping the profile of an average visitor in perspective, the MD further proposes to create tourism activities to create additional attractions using the nature and creative investments. Short & Long Trekks: identify eco-tourism/high-terrain trails that will attract the young visitors interested in trekking. Lots of visitors come to Sikkim Himalayas for high terrain trekking experience. Identified Trekks need to be promoted globally as well as in the domestic market. 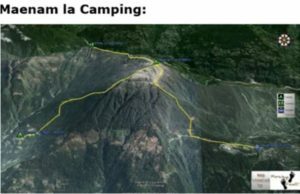 For Trekks longer than a day facilities for camping, storing and porter services to be created, besides organizing trained guides. – Implementation: Short Trekks – Immediate | Long Trekks – Intermediate. Adventure Sports: create facilities for Zip Lines, Biking, Para Gliding, Pony Ride, and similar adventure sports. Day Trips: Create linkages to nearby interests – Rabang / Namchi using the local taxi and tour operators. The popularity of drinking tea has exponentially increased. According to, to the Tea Association in The US, over 158 million and around 165 million in the US and Great Britain drink tea, daily, respectively. In the Australian market, tea accounts for 13% of the overall hot drinks value of sales in 2014, according to the Euromonitor website. There are many benefits of drinking tea. For one, it can help boost the immune system, as documented by the Linus Pauling Institute at Oregon State University. Secondly, tea can rehydrate the body. Per report from the European Journal of Clinical Nutrition, the caffeine content in the tea, in 200 to 250 ml of fluid, is not correlated to excessive fluid loss of dehydration. Dehydration happens when the caffeine is used in high doses or bolus. However, when it is at the minimum level, 200-250 ml, this is not significant. (Huffingtonpost, 2014). Similarly, for those who are trying to lose weight, can also benefit from drinking green tea extract. 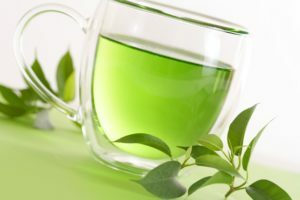 According to the research study “Beneficial effects of green tea extract: A Literature Review,” 2010, authors, Chacko, et a.l., reported that human studies indicated that drinking green tea and green tea extract may help reduce the body weight, mainly body fat, by increasing postprandial thermogenesis and fat oxidation. (US National Library of Medicine National Institutes of Health). Green tea extract contains a significant phytochemical called polyphenol called epigallocatechin-3-gallate, or EGCG. The research findings revealed that the six overweight men, who were given 300 mg of EGCG for every two days. They have the potential to increase fat oxidation or burning of fats. Green tea’s contribution to anti-obesity is vital. What remains a challenge for those who want to see the promising results of green tea in relation to weight loss, is the brand or type of green tea extract to purchase. There are many competing brands in the market today, both online and offline and picking one can be difficult.